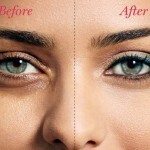 Many people use skin lightening products to remove discoloration and dark spots that show up on their skin. Some people even use this product to try to lighten their complexion if they feel that it is too dark. Some ingredients that are contained inside of skin lightening products are effective for altering a person’s hyperpigmentation to a lighter hue. However, many of these products damage a person’s skin by thinning it out, making the bonds weak and creating permanent damage. In some cases people have been known to develop cancer from these products. People should use skin lightening products with extreme caution. Believe it or not there are some homemade skins lightening remedies that work just as well as chemical based lightening products. These remedies are primarily made up of food based or organic ingredients. Even though this is the case, people should still make sure the solution that they are using does not damage their complexion. Oatmeal is a popular food but it also a popular substance that is used on the skin. Oatmeal can be mixed with lemon juice, yogurt and olive oil to form a paste. This paste should be spread over the skin and completely covered. Once the paste has been covered it should be left to dry for at least 30 minutes. After this homemade bleaching agent has dried, it should be removed from the skin. A person should then add moisturizer to the bleached areas. This remedy has been known to work on some people’s skin but not all. Also, it takes many applications to work (if it does); at least a six month time period. 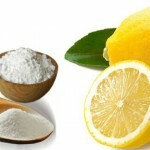 Milk, honey and lemon juice can be mixed together to form a facial mask that can be used for lightening skin. Again, these ingredients may or might not work on a person’s skin tone. This type of pack is easy to make and should be covered for no more than 30 minutes once it has been applied. Keep in mind that this remedy will more than likely work over time. Turmeric is a spice that can provide people with a skin lightening remedy that can brighten up their dermis. This substance is usually sold in a powder form and it can be mixed with besan, sandalwood and raw milk to create a paste. This paste can be applied to the face or any part of the body and be used as a lightening agent. Tomatoes are very acidic a lot like lemon juice. This vegetable can be mashed and mixed with other ingredients such as raw papaya paste or juice. Both of these ingredients are very acidic and they should be mixed with ingredients such as yogurt or milk that can neutralize some of the acid. While this type of remedy might not seem to work for some people it actually does. This ingredient does have the ability to alter some people’s melanin over time. 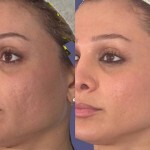 Orange peels and potatoes are great products for lightening skin. These products are great for lightening the skin because they have minerals and substances that are excellent for lightening up the melanin. Potatoes can be mixed into a paste and peels should be ground up as well since this will help to make these substances easier to apply. Keep in mind that skin lightening is a very tricky thing to accomplish. This type of process can be very frustrating because most people will not always get the results that they desire. Also, people should be realistic about the type of effect that they want to achieve. 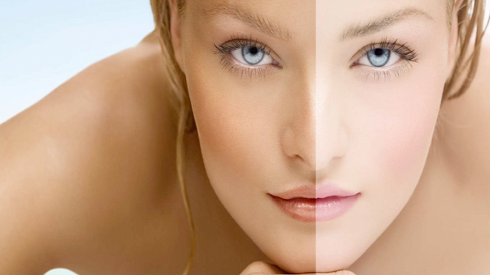 A person with dark skin should not realistically expect to bleach their skin nearly white (though it is possible) by using homemade remedies. The main thing is to use good judgment and common sense when trying this type of process.